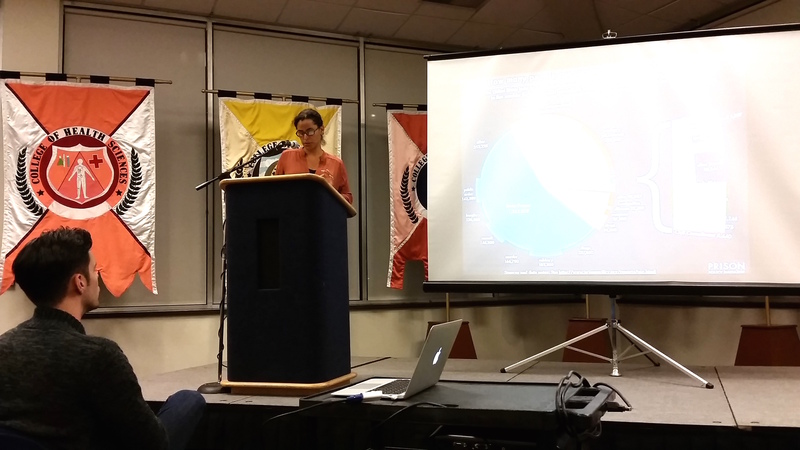 Dr. Kelly Lytle Hernández (above) from UCLA presented the conference keynote address from her latest work titled: “Caged Birds: immigration and the Rise Of Mexican Incarceration in the United States” — at El Paso Natural Gas Conference Center, University of Texas at El Paso. 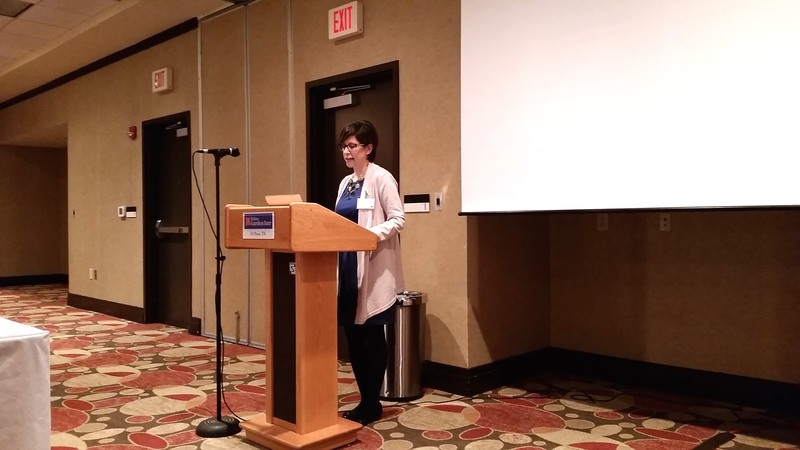 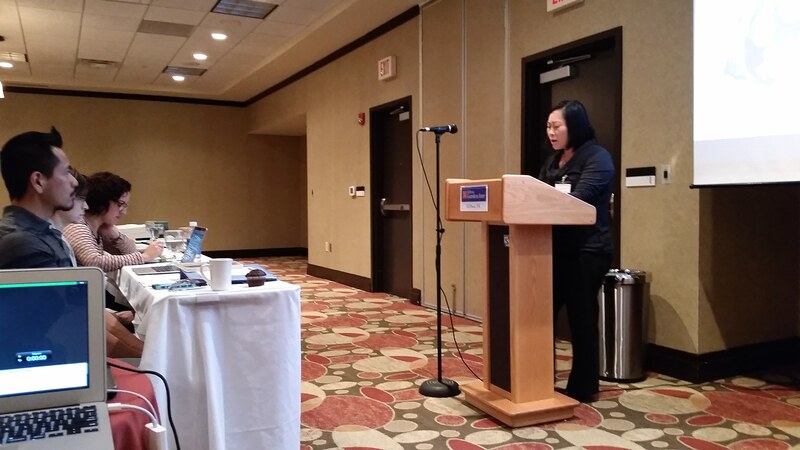 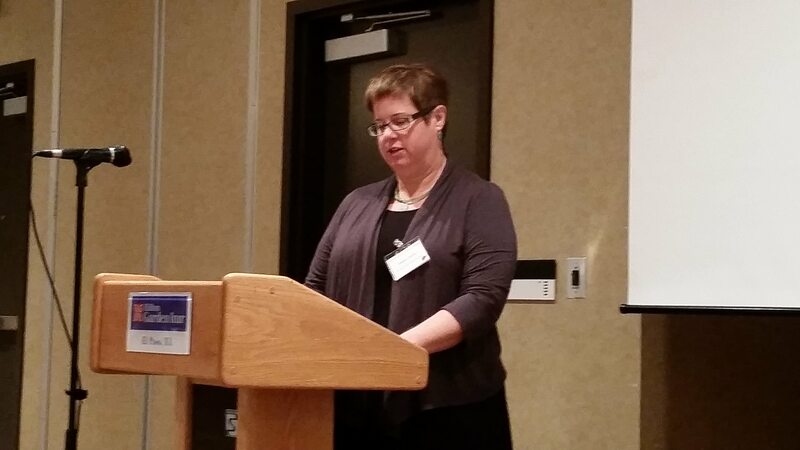 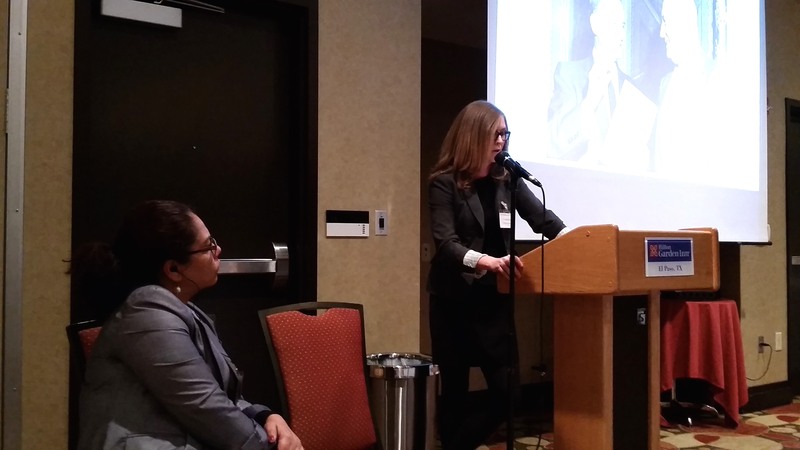 Conference organizer Heather Sinclair (above), Doctoral Candidate at the University of Texas at El Paso, presented her paper “Borders, Bodies, and Babies: The State and Precarious Reproduction In the U.S.-Mexico Borderlands, 1922-1942.” at the Hilton Garden Inn El Paso/University. 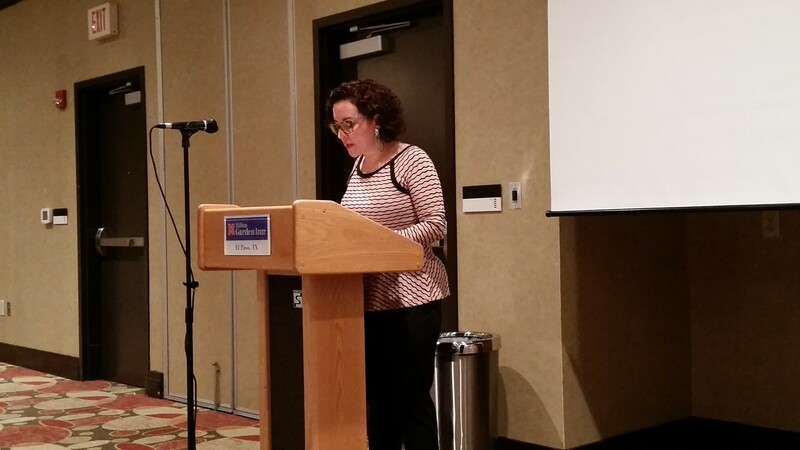 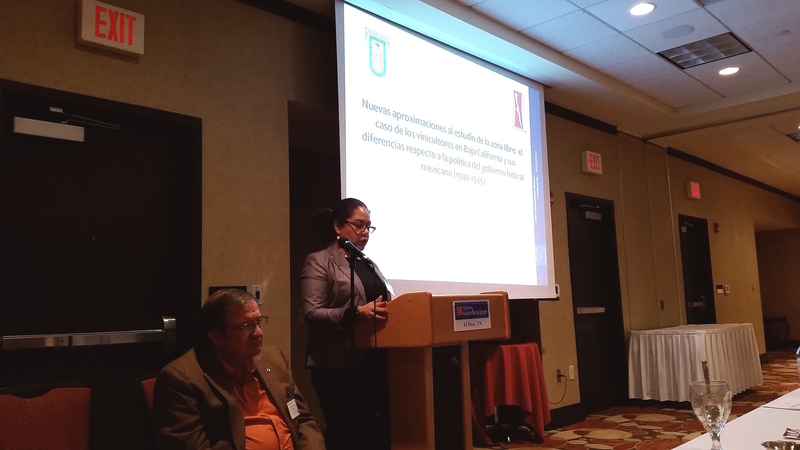 Lina Murrillo (above), Doctoral Candidate at the University of Texas at El Paso, presented her paper titled: “Illegal Methods: Abortion and the State on the U.S.-Mexico Border,” as part of the UTEP Borderlands History Conference. 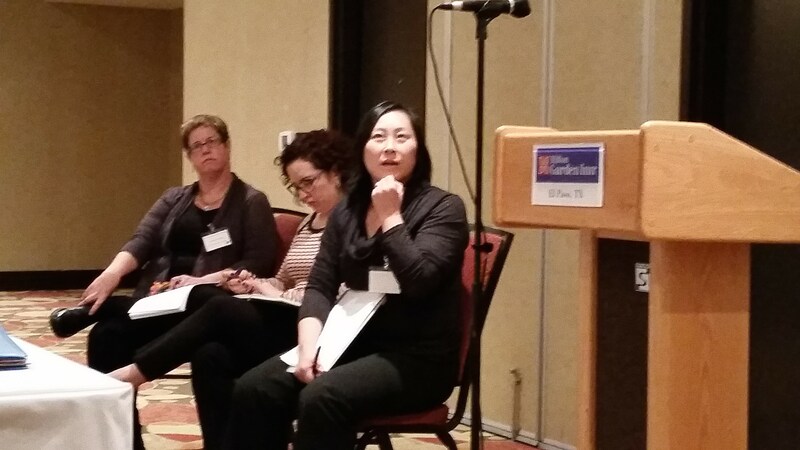 Panelists (above) from left to right: Heather Sinclair, Lina Murillo and Dr. Julian Lim, answer questions from the audience at the UTEP Borderlands History Conference. 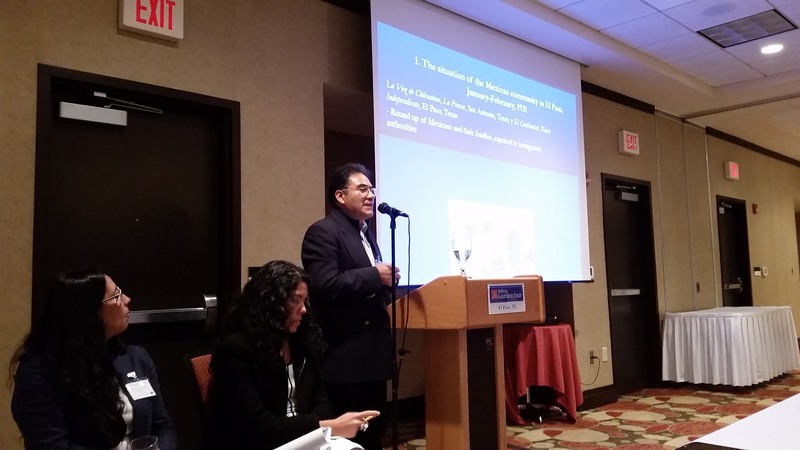 Dr. Alonso Domínguez Rascón (above) from El Colegio de San Luis, A.C. presented his paper titled: “El establecimiento de la línea de presidios en el intento de definición y afirmación del Estado español de la frontera septentrional,” at the Hilton Garden Inn El Paso/University. 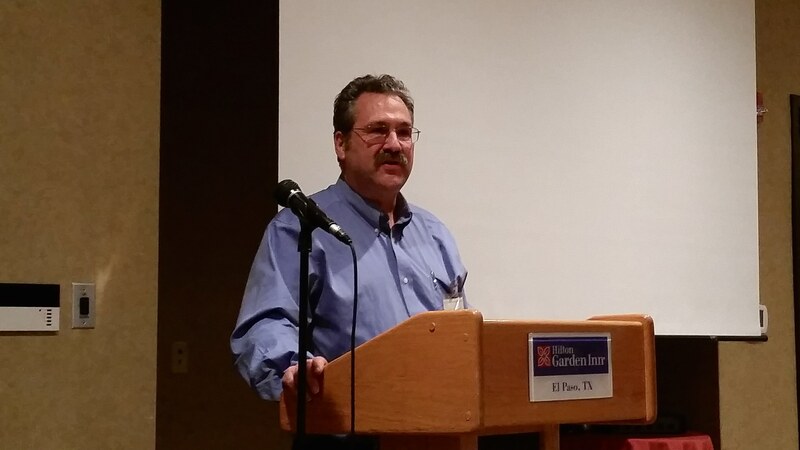 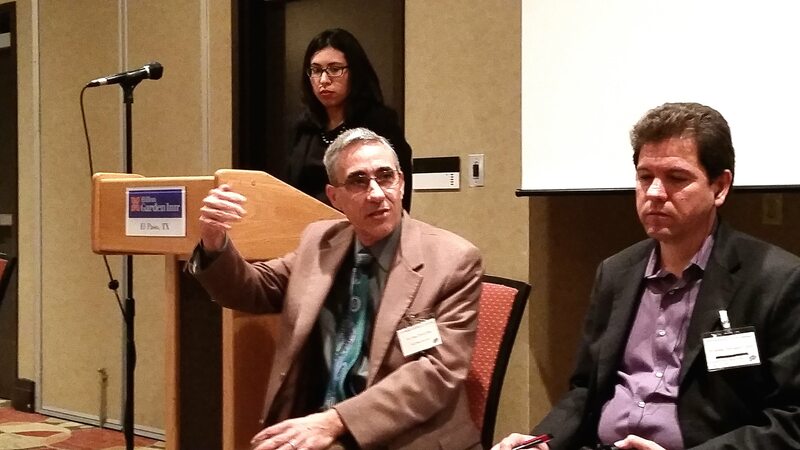 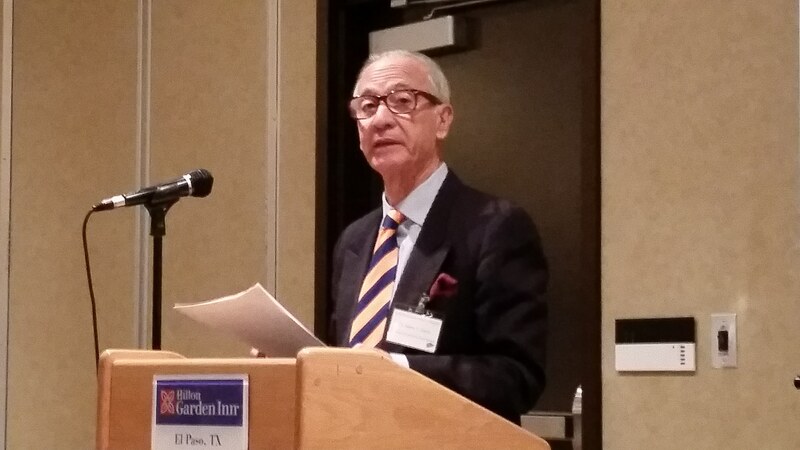 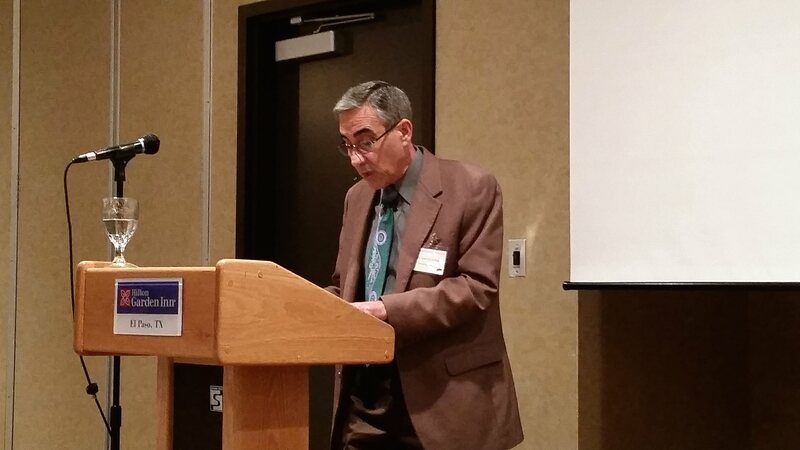 Historian Dr. Mario T. Garcia (above) served as the Commentator for Panel 2: State Building in the Borderlands at the Hilton Garden Inn El Paso/University. 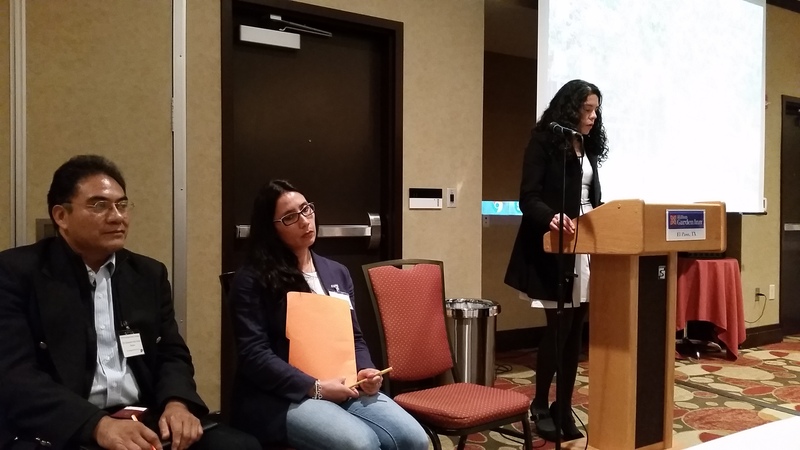 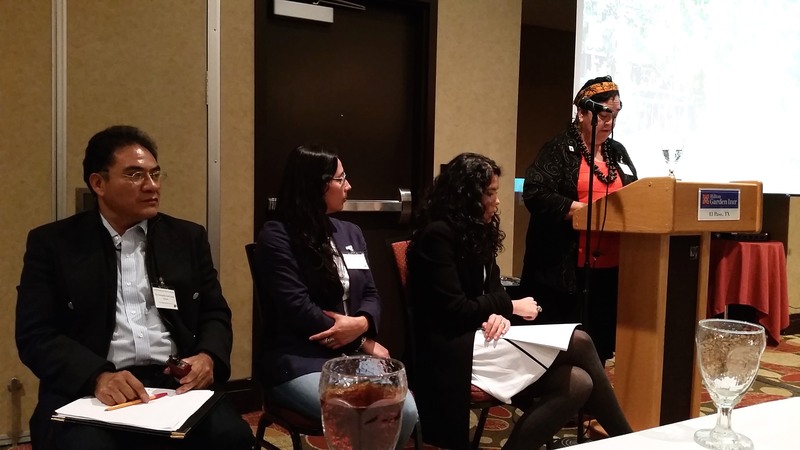 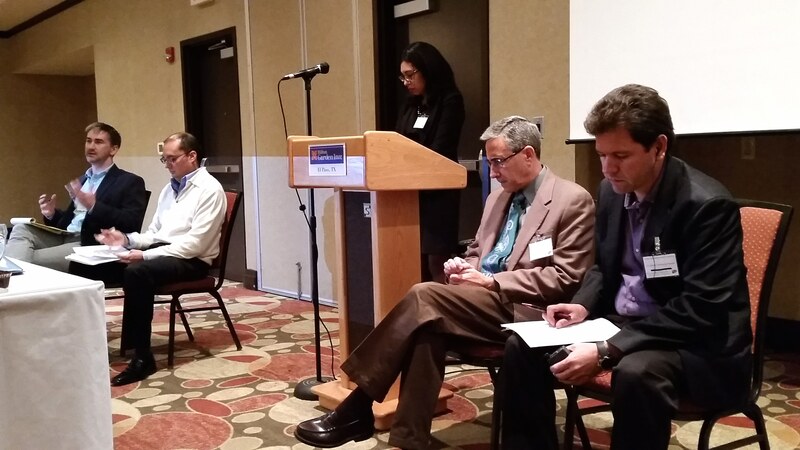 Panel members (above) for Panel 2: “State Building in the Borderlands.” UTEP Doctoral student Maria Vallejo de Robles (center) was the Moderator for the session. 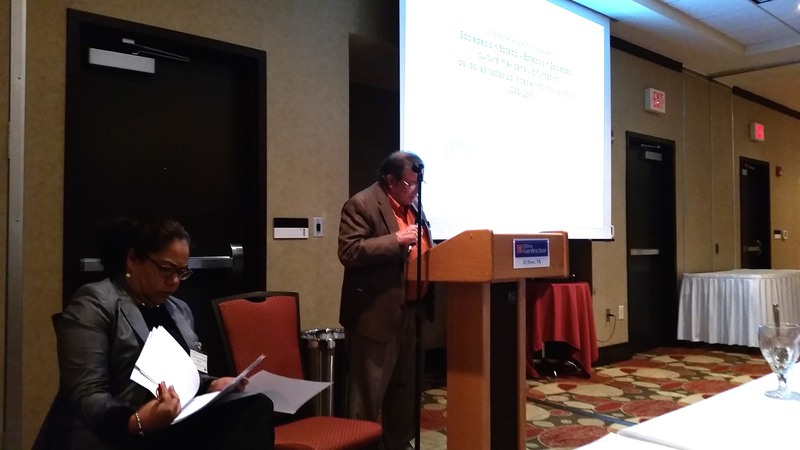 Dr. Jesus De La Teja (above), Professor at Texas State University discusses his work. 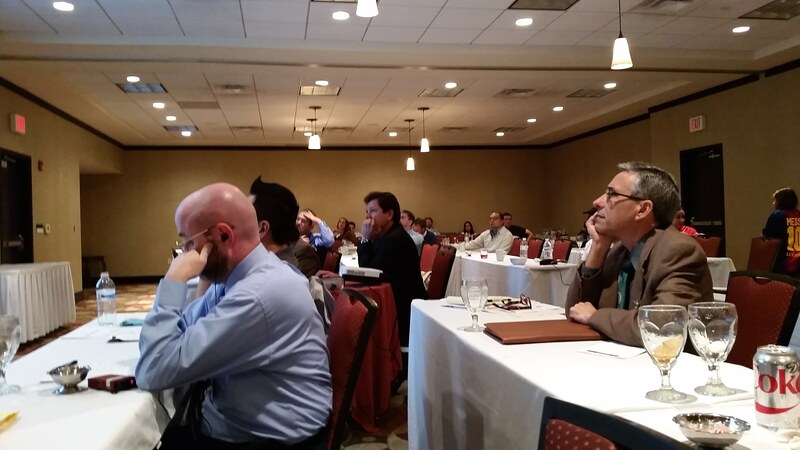 Conference attendees at the UTEP Borderlands History Conference. 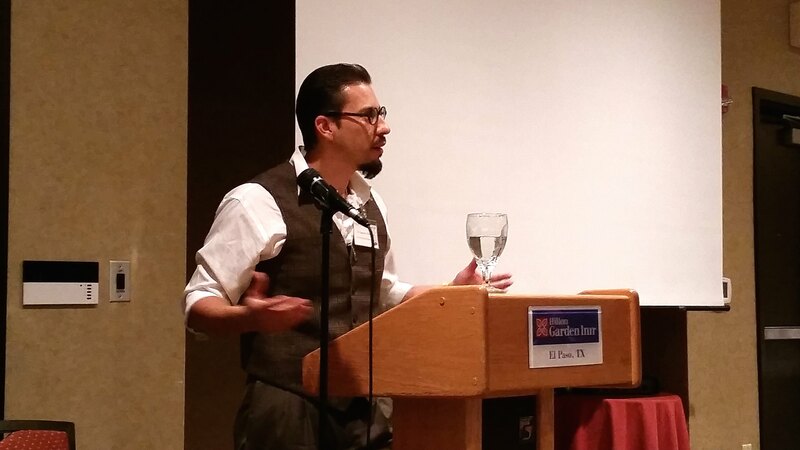 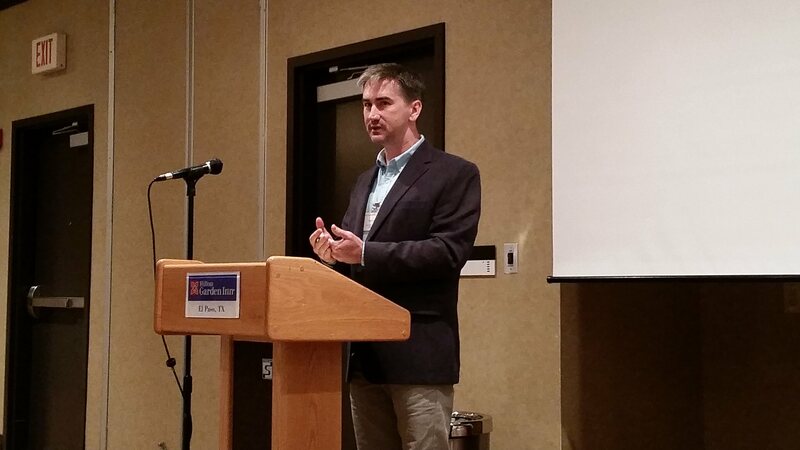 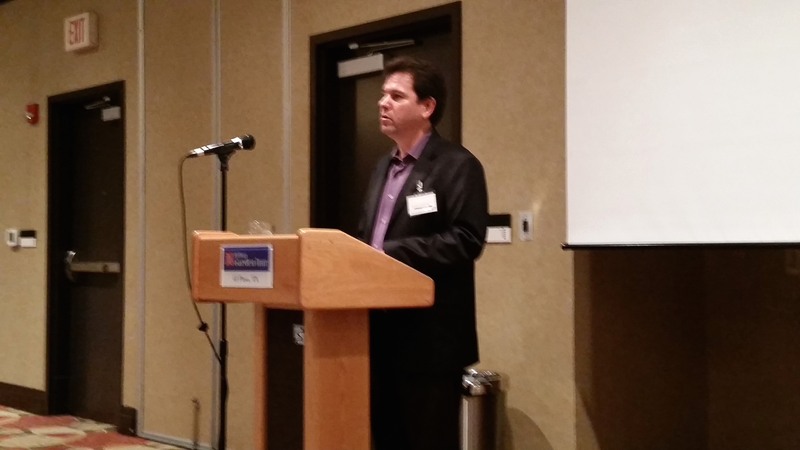 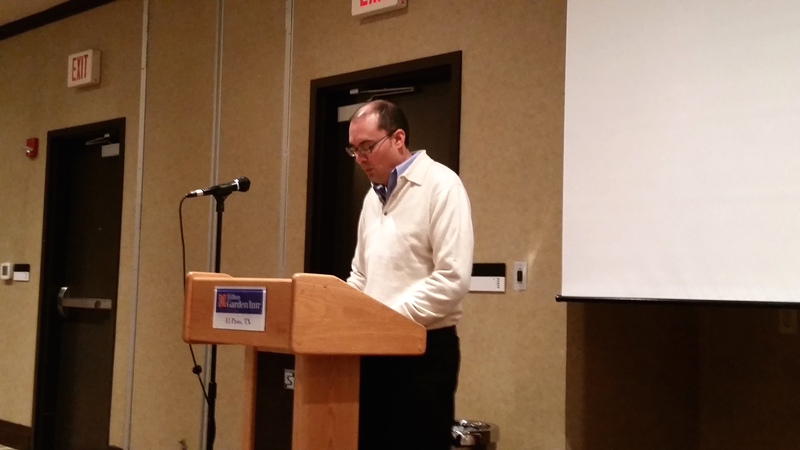 Dr. Ignacio Martínez (above), Assistant Professor at the University of Texas at El Paso Borderlands program, presents his response to the papers presented at the conference. 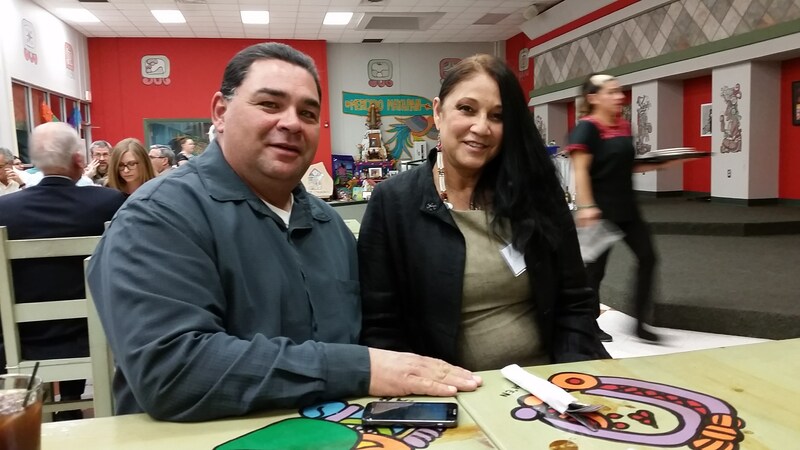 Joseph and Rosemary Martinez at the UTEP Borderlands History Conference Dinner at Café Mayapan.